Dr Narang is the recent recipient of the Fulbright-Nehru Scholarship in 2014-2015, conducting child maltreatment research and education in various parts of India. Dr. Narang did his undergraduate studies at Auburn University in Auburn, Alabama, majoring in Philosophy. Subsequent to his undergraduate studies, he went to law school at Vanderbilt University in Nashville, TN, and received his Juris Doctorate (law degree) in 1993. He subsequently practiced as a trial attorney in the United States Navy, in the Judge Advocate General’s Corps. His 4 year Navy JAG tour at the Washington Navy Yard in Washington, DC, comprised of over 40 contested jury and judge trials as both a prosecutor and defense counsel. During his Navy JAG tour, Dr. Narang realized that Pediatrics was his calling. He gained acceptance to Georgetown University School of Medicine, in Washington DC, in 1997, and attended there on Navy scholarship, graduating in 2001 with his medical degree. He began his Pediatrics residency at the National Naval Medical Center, Bethesda, MD in 2001. His pediatric residency was interrupted in 2002 when he was deployed, in support of Operation Iraqi Freedom, aboard the USS Sacramento (a combat logistics ship). He finished his deployment tour in 2004 and returned to his Pediatrics residency in 2004, and completed it in 2006. From 2006-2008, he served as Department Head of the Pediatrics Clinic at the Naval Health Clinic, Great Lakes, Illinois. From 2008-2010, he performed a Child Abuse Fellowship at the internationally-renowned Kempe Center for Child Abuse Prevention and Treatment at the Children’s Hospital of Denver. He served as a Child Abuse Pediatrician, an Assistant Professor of Pediatrics, and the Fellowship Director for Child Abuse Pediatrics at the University of Texas Health Science Center—San Antonio from 2010-2013, and at the University of Texas Health Science Center-Houston from 2013-2015. He assumed the position of Associate Professor of Pediatrics at Northwestern’s Feinberg School of Medicine, and Division Chief of Child Abuse Pediatrics at Lurie Children’s Hospital in Chicago in July 2015. 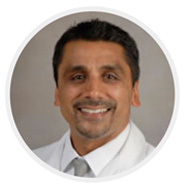 Dr. Narang is board certified in both General Pediatrics and Child Abuse Pediatrics. He has submitted several medical and legal articles for publication on various topics of Child Abuse Pediatrics, lectured at state and national levels, testified in both state and federal US courts, and is recognized as a national and international expert in General Pediatrics and Child Abuse and Neglect, with a specific emphasis in Abusive Head Trauma and Medico-legal Aspects of Child Maltreatment. He is the recent recipient of the Fulbright-Nehru Scholarship in 2014-2015, conducting child maltreatment research and education in various parts of India.